ONAPP is an SME that builds and provides cloud software platform solutions based on multiple layers of cloud services. The main product is a platform that allows users to control and manage their own cloud services in a simple way. This links with a novel, distributed storage platform that provides an integrated storage solution that is an alternative to costly Storage Area Network (SAN) systems. ONAPP has also successfully developed a Content Delivery Network (CDN) that is based in 43 countries. ONAPP is participating in the FP7-ICT-Call8 Trilogy2 project. Many working at ONAPP have worked with the hosting industry. 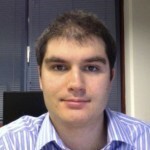 Julian Chesterfield is the ONAPP storage and virtualisation architect, and leads the storage development team. He studied Computer Science at University College London (MSc) and went on to complete a PhD at Cambridge. He was an early member of XenSource, a Cambridge University spin-off company that developed Xen, the open source hypervisor acquired by Citrix in 2008. Julian was the storage development team lead and senior architect for the XenServer and OSS Xen products. 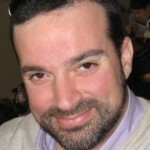 Michail Flouris is a researcher and systems engineer in ONAPP. 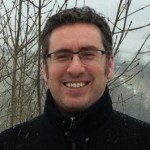 He received his PhD in Computer Science from the University of Toronto and has over ten years of experience in the engineering of high-performance systems. Michail has over 25 peer reviewed publications and has been a reviewer for major ACM and IEEE conferences and journals and is currently a lead engineer in the ONAPP storage group, working on the core components of the distributed storage platform for the ONAPP Storage product. John Thomson is a researcher that has worked on the EC Projects, FP7-ICT-MANCOOSI, FP7- IST-ULOOP, FP7-ICT-TIMBUS, FP7-Trilogy2, Euroserver. He has worked on the planning and development of core components as well as designing and implementing the architectures for these projects. He received his Masters in Electronics and Electrical Engineering from Imperial College, London. He is currently studying for a PhD in virtualisation in association with IST technical University in Lisbon. 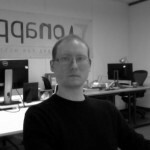 Michal Belczyk is a senior software engineer in OnApp storage development team. He received a masters in Computer Science from Kracow University of Technology and has been working on high performance server-side software since then. He focuses on high speed storage and networking in virtualised environments and is the author of bnbd – an alternative open-source network block device server implementation.